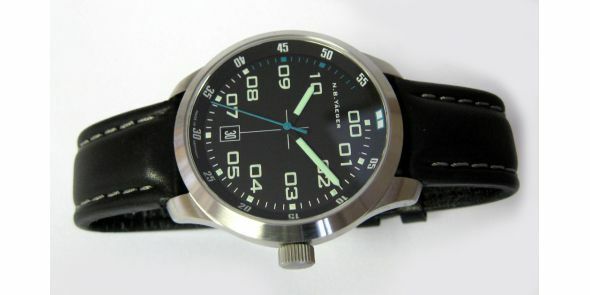 NB Yäeger Delta Sector automatic wristwatch. 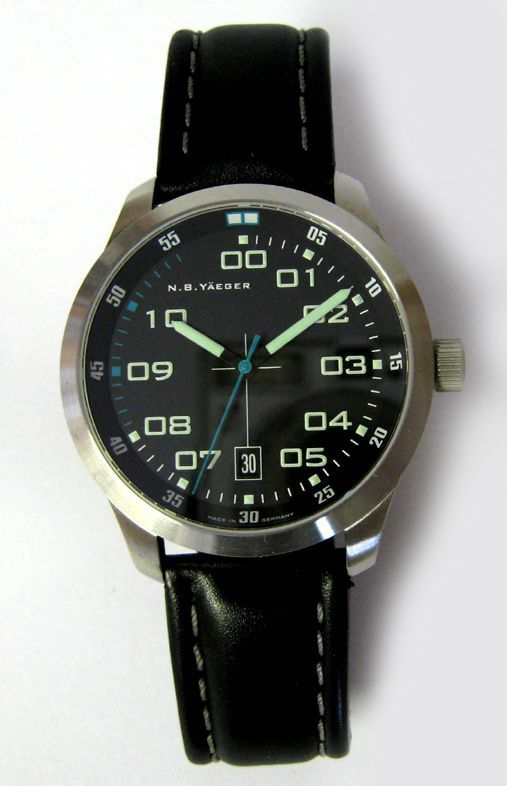 Extraordinary design, absolutely stunning, clean fresh and bright NB Yäeger Delta automatic wristwatch. Delta stands for the basic line of NBY: an approved technology, an independent and consequent design and first-class details in the cockpit style. Clear and well arranged, to the point and informative. 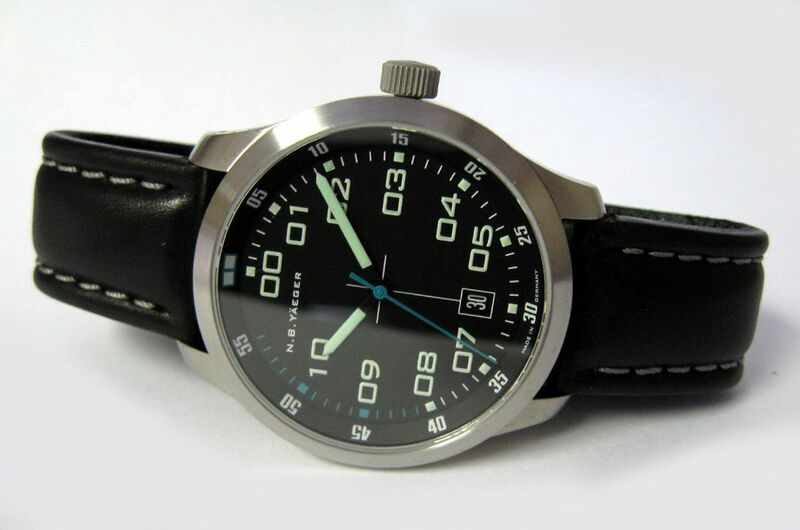 There is nothing better than seeing brand new design coming out that is like nothing ever created before and this NB Yäeger Delta Sector wristwatch does exactly that. It is bold and brash using daring characters and colours, but something that is appealing attractive and striking. 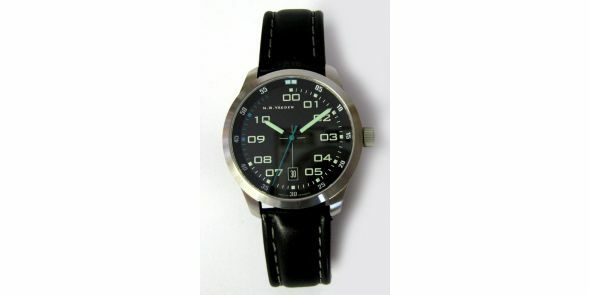 The watch is very masculine in design and stature. 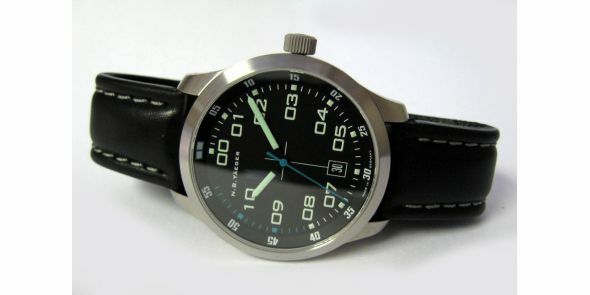 It has character and demonstrates innovation by the maker as well as the wearer of such a watch. 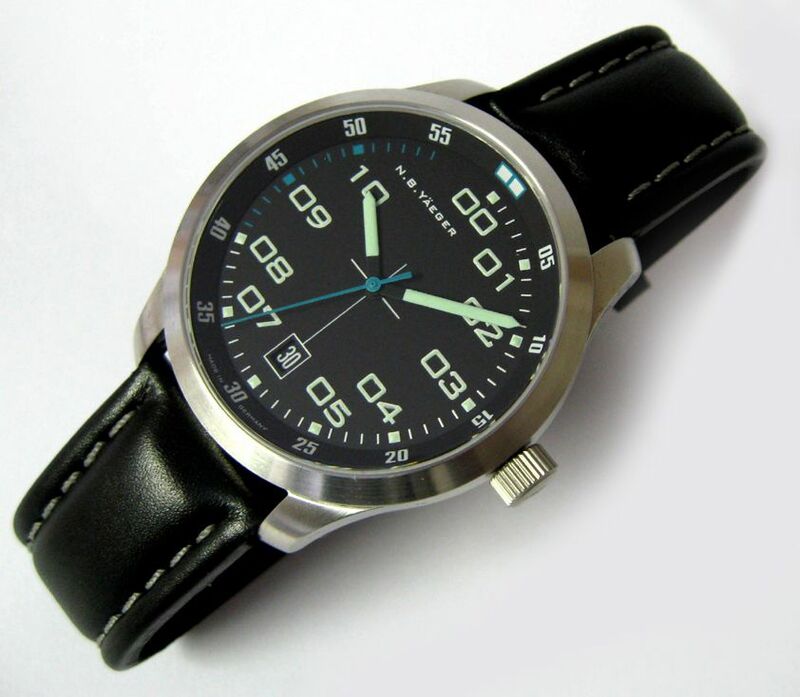 The design is that of an aircraft instrument, adapted to a wristwatch, where there are very large and bold numerals and hands in mild luminous green color with blue sweep second hand and seconds markings. Has a 60 second scale printed n the outer edge of the dial. 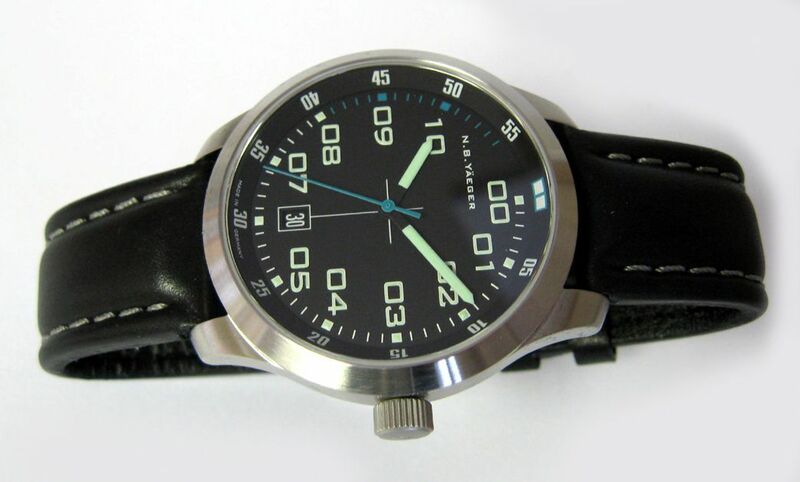 The dial is mat black with black date wheel. The case is solid stainless steel with steel screw on back which contains picture of jet aircraft breaking the sound barrier. The case is brushed steel with a polished back. It has a screw down crown and is water resistant to 10 bar, which is approximately 100 metres. 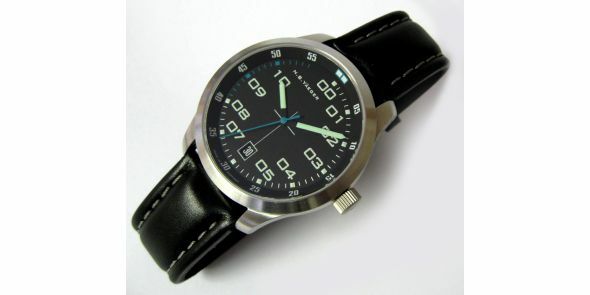 It has a scratch resistant sapphire crystal, super luminova luminous system and a Swiss made SW20A automatic movement. The leather strap version comes with a spare rubber strap, instruction booklet/guarantee card, box and outer box. Dimensions are as follows: width is 40 mm excluding the crown, 44 mm including the crown, 46.5 mm lug to lug, 10.5 mm thick. Ref. NBY 02. Price is £545 or US 5.